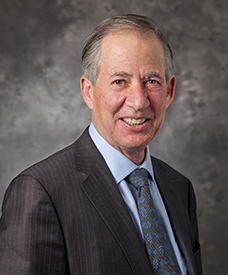 Executive Team | M.D.C. Holdings, Inc.
Larry A. Mizel founded the Company in 1972 and has served as a Director and Chairman of the Board since its inception. He was appointed Chief Executive Officer of the Company in 1988, a position he currently holds. Mr. Mizel has provided the Company with leadership and judgment, serving as the Chief Executive Officer and Chairman of the Board of Directors, while advancing the long-term interests of the Company's shareholders. One of the most experienced leaders in the homebuilding industry, his knowledge and foresight provide the Board with invaluable guidance. Michael Touff was elected Senior Vice President and General Counsel of the Company in July 1999, having been elected previously as Vice President and General Counsel in December 1994. From August 1992 through December 1994, he was an officer in the law firm of Ireland, Stapleton, Pryor & Pascoe, P.C. Prior to August 1992, Mr. Touff was an officer in the law firm of Holmes & Starr, a Professional Corporation. Mr. Touff also is an officer, director or both of several of the Company's subsidiaries. Mr. Martin started his career in public accounting with the international accounting firm Arthur Andersen LLP. After joining MDC in 2002, he served the Company in a variety of leadership roles, including Vice President of Finance and Business Development and Vice President of Finance and Corporate Controller, before his appointment to his current role of Senior Vice President, Chief Financial Officer and Principal Accounting Officer in May 2015. Mr. Martin has direct oversight over the Company's division and corporate accounting, division finance, tax, investor relations, treasury and finance, planning and analysis functions. 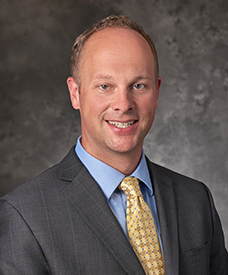 Additionally, he serves on all three of the Company's asset management committees, which review and approve all new homebuilding projects and other significant company transactions. Mr. Martin also is an officer, director or both of many of the Company's subsidiaries. He holds a bachelor's degree in accounting and computer applications from the University of Notre Dame and is a Certified Public Accountant and CFA Charterholder.